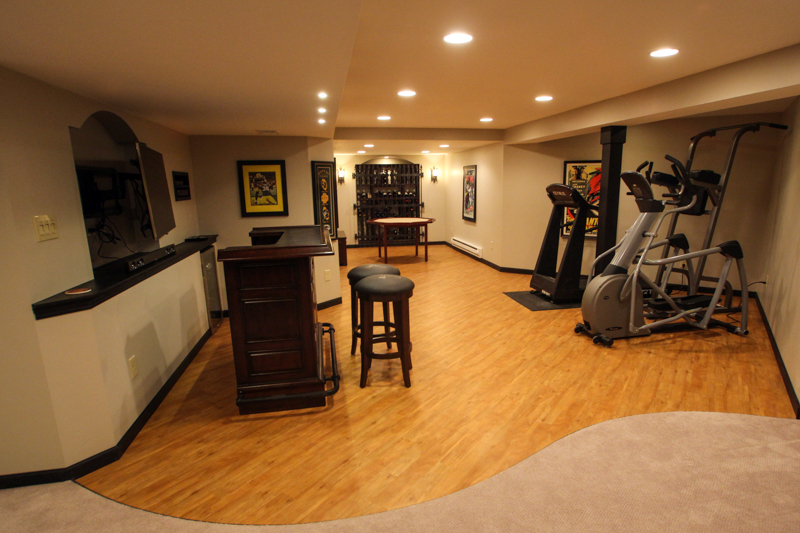 This was a partially finished basement, including a sitting area and a half bath. 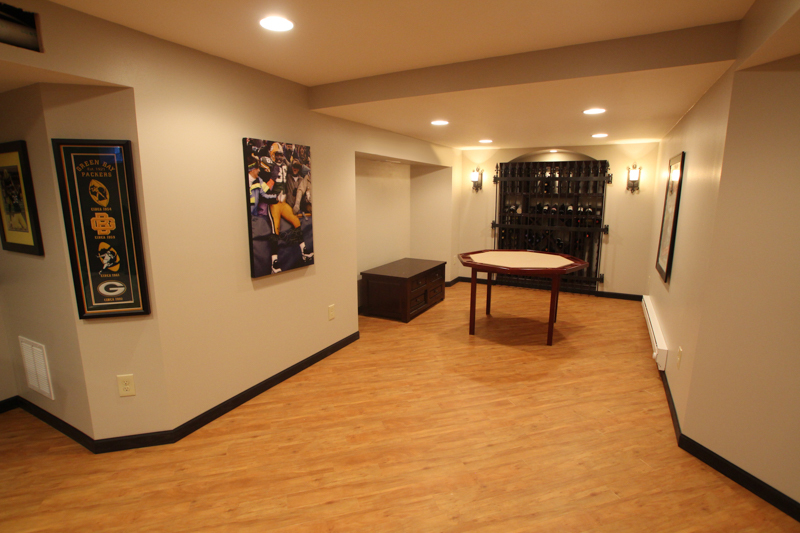 We designed additional functional basement space by utilizing some of the remaining unfinished areas. 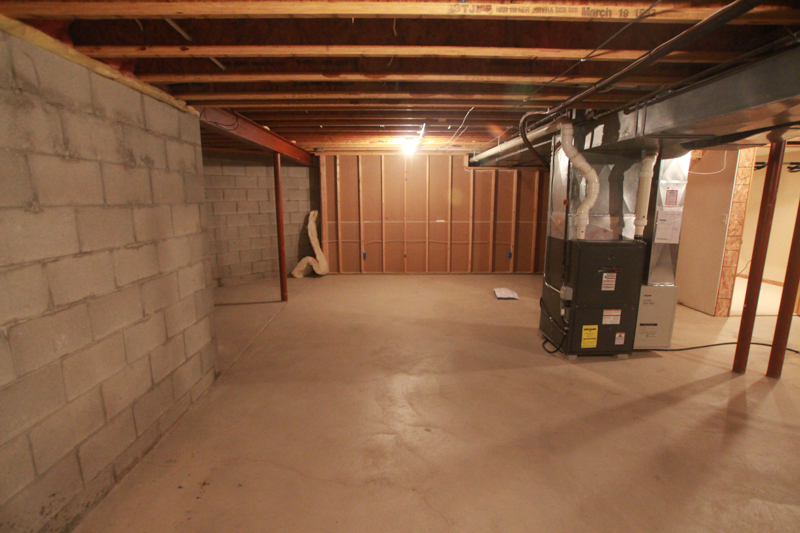 The initial before photos show the wall that was removed to enlarge this basement finishing project, as well as the existing storage area. 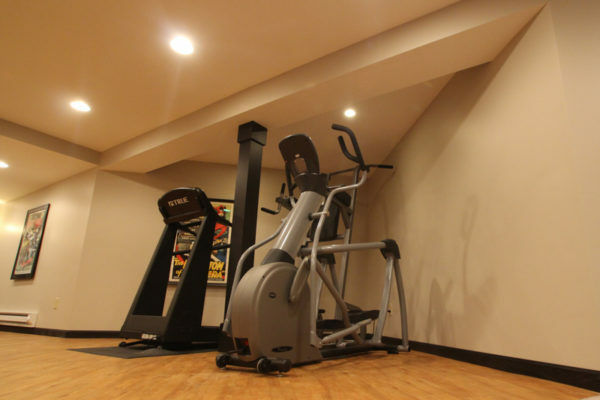 Our design includes areas for a bar with an arched inset for an HDTV, exercise equipment, a poker table and an alcove for wine storage. 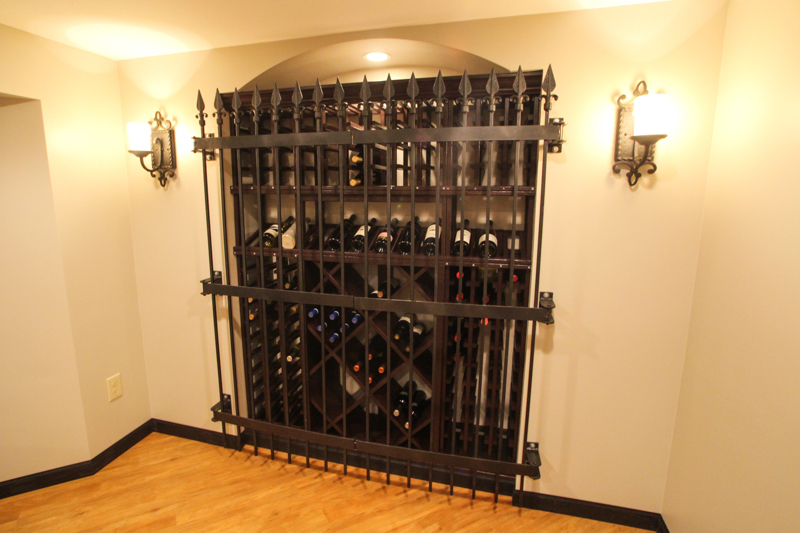 The home owner provided a wrought iron gate that was to be incorporated into the wine storage alcove. 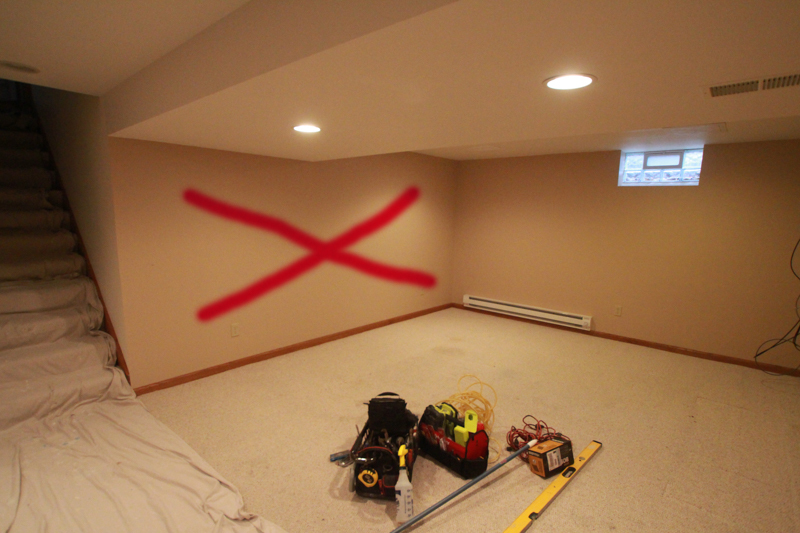 New carpeting was installed in the preexisting finished space. Vinyl plank was installed in the newly remodeled area. A photo shows how we used a curved transition to separate the two flooring types.